A truly unique and absolutely gorgeous design from end to end. 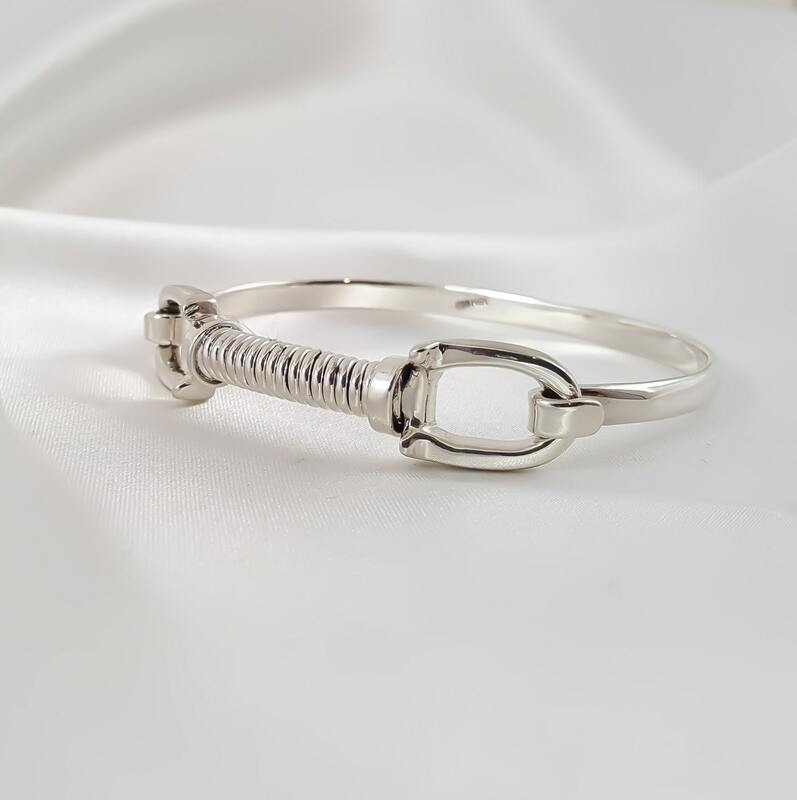 This stunning Sterling Silver Horseshoe Hook Bracelet offers an exclusive appearance as well as a soft and comfortable feel from the moment it’s slipped onto your wrist. 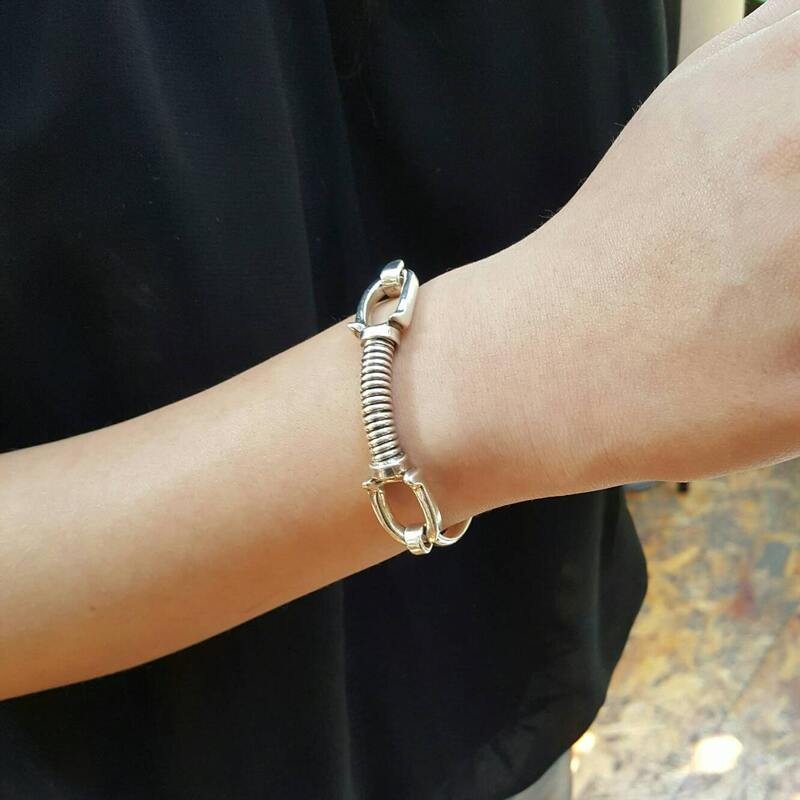 Beautifully handcrafted from strong and durable 925 sterling silver material. 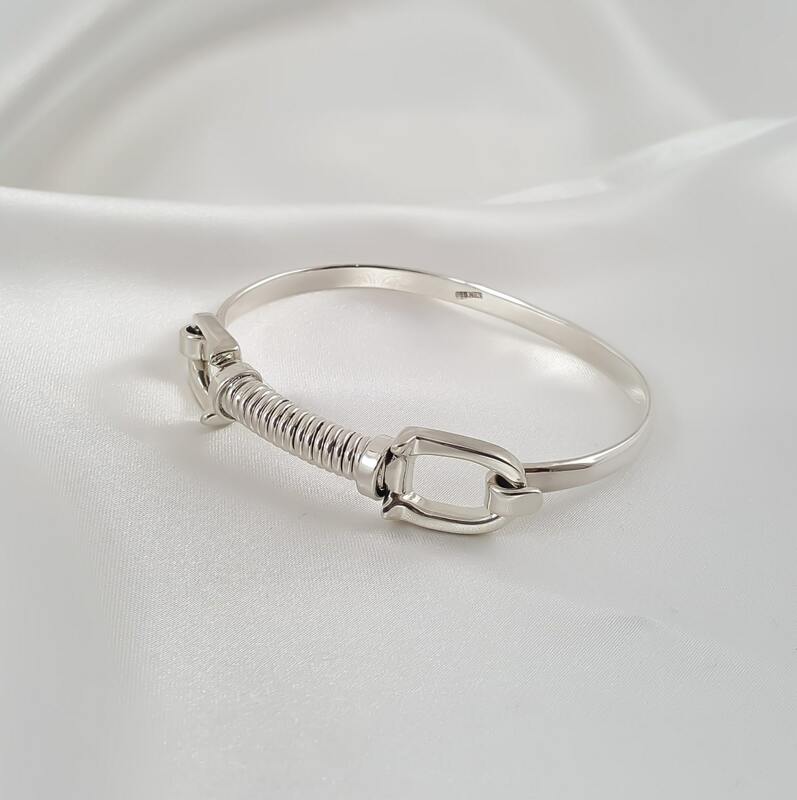 This lovely piece of jewelry includes an innovative style of clasp with a hook latch that won’t come loose and looks incredibly chic all at the same time. 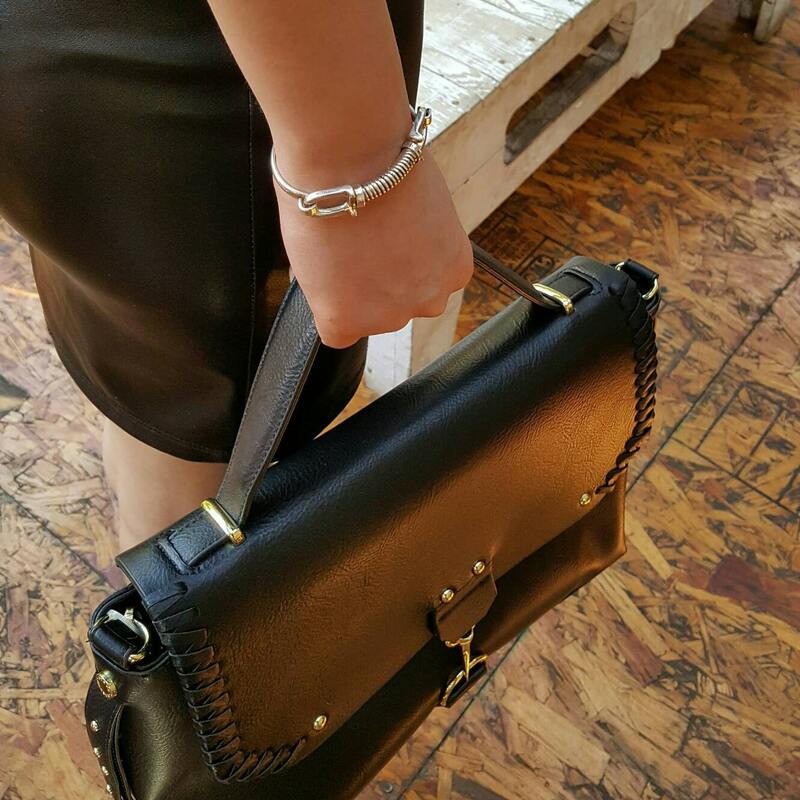 If your size is no available send us a note and we´ll make it for you. We will need 10 work days to have it ready for shipping. I LOVE this bracelet! 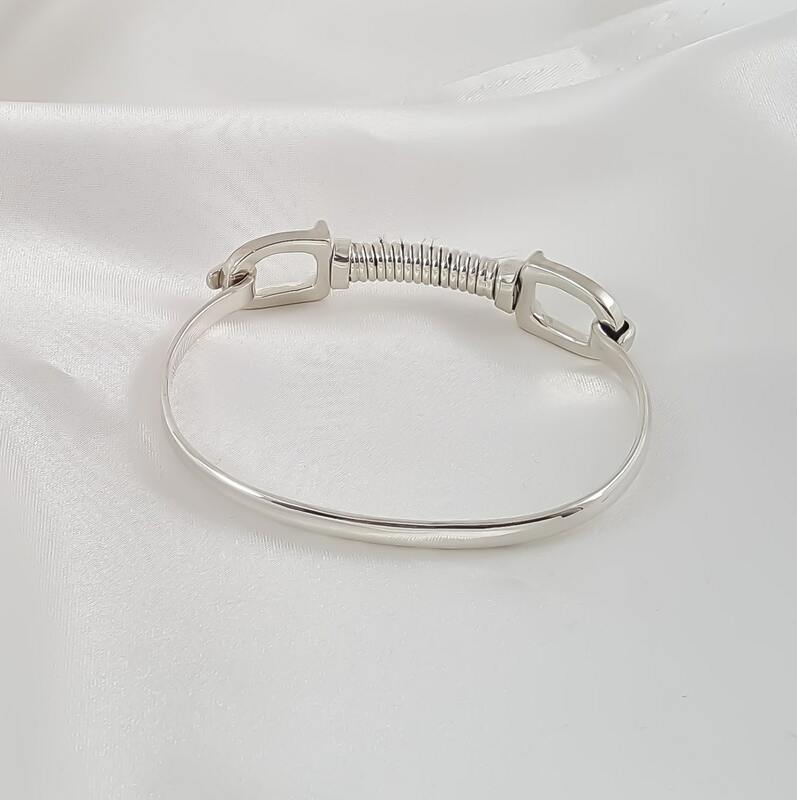 It fits perfectly to my small wrist and can be worn alone or with other bangles. I will waer this often. Thank you!